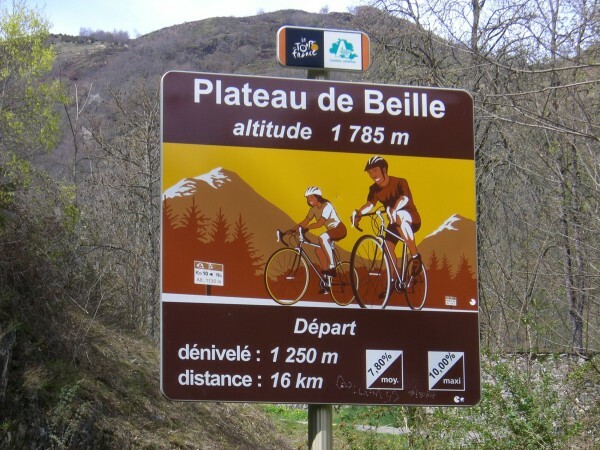 Plateau de Beille is a Cat HC climb to a ski station in Ariége. 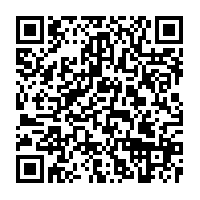 It is between the towns of Tarascon-sur-Ariége and Ax-les-Thermes, south of road N20. My advice is to not cycle on N20, very dangerous road. 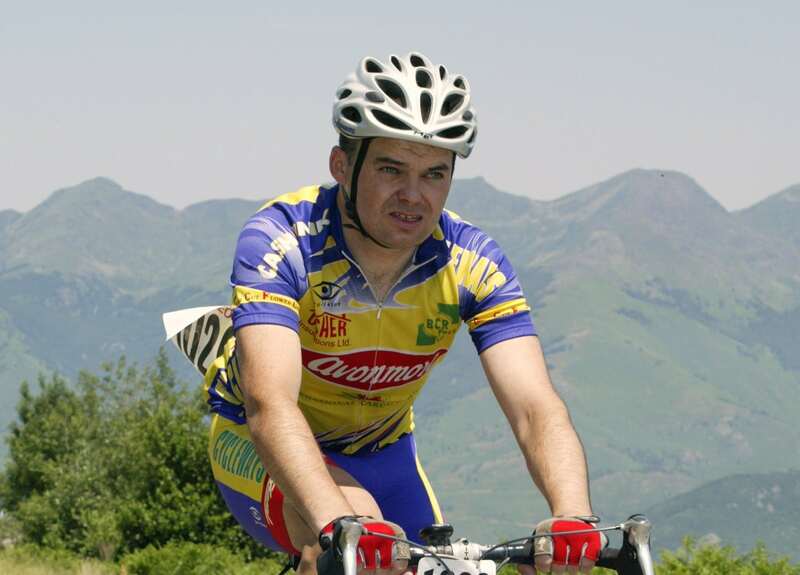 Plateau de Beille has been a stage finish 5 times in Le Tour de France. 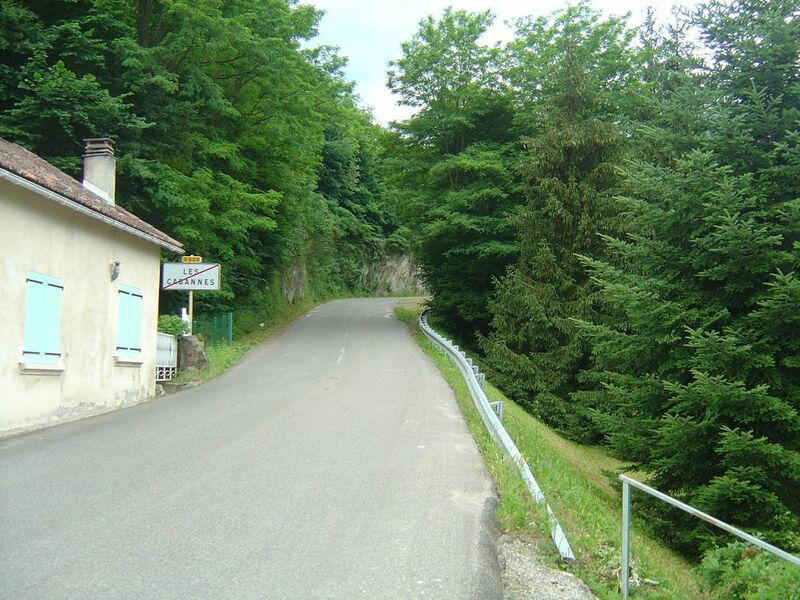 Cat HC from Les Cabannes , the climb to the Plateau is 15.8 km @7.9%. You gain 1,255 metres. It is a formidable ascent on road D522. The summit is at 1790m. The maximum gradient is 10.5%. The climb is steep but steady for the first 12 km with some nice switchbacks. It is mostly through forest so there are not many views but it offers good shade from the sun. The 9th km is the steepest. After the forest it opens out onto the plateau with much easier but irregular gradients for the remainder of the climb. The road is modern and wide having been constructed especially for access to the nordic ski station at the summit which opened in 1988. A strong rider may consider jumping to the big ring before the finish at the ski station car park. 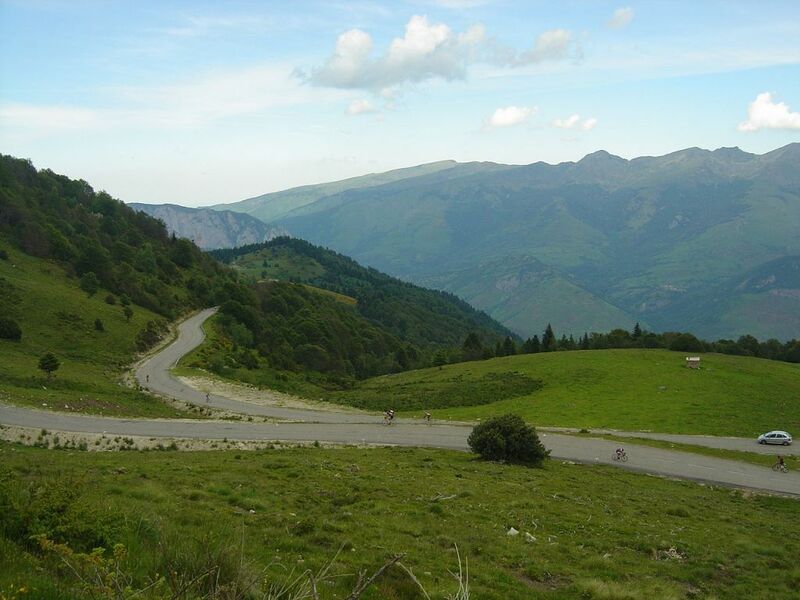 Plateau de Beille, one of the hairpins near the top. 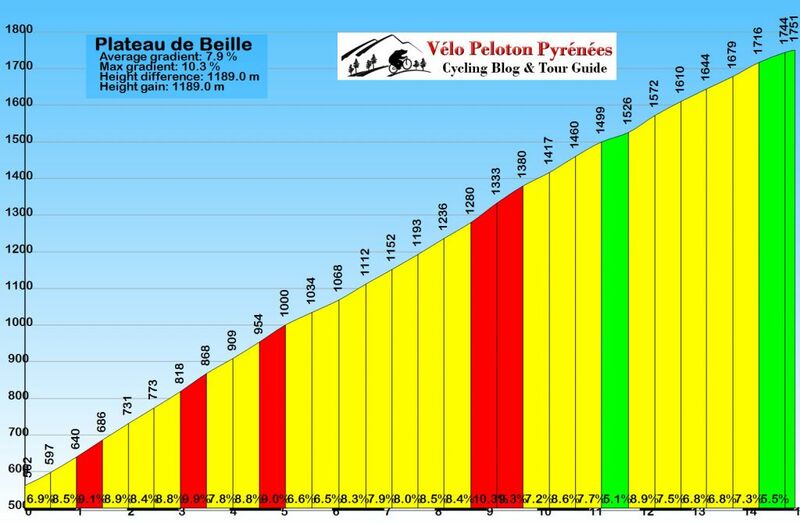 Plateau de Beille - The start of the climb at Les Cabannes. Fresh news from the Plateau de Beille, climbed last week under the sun.